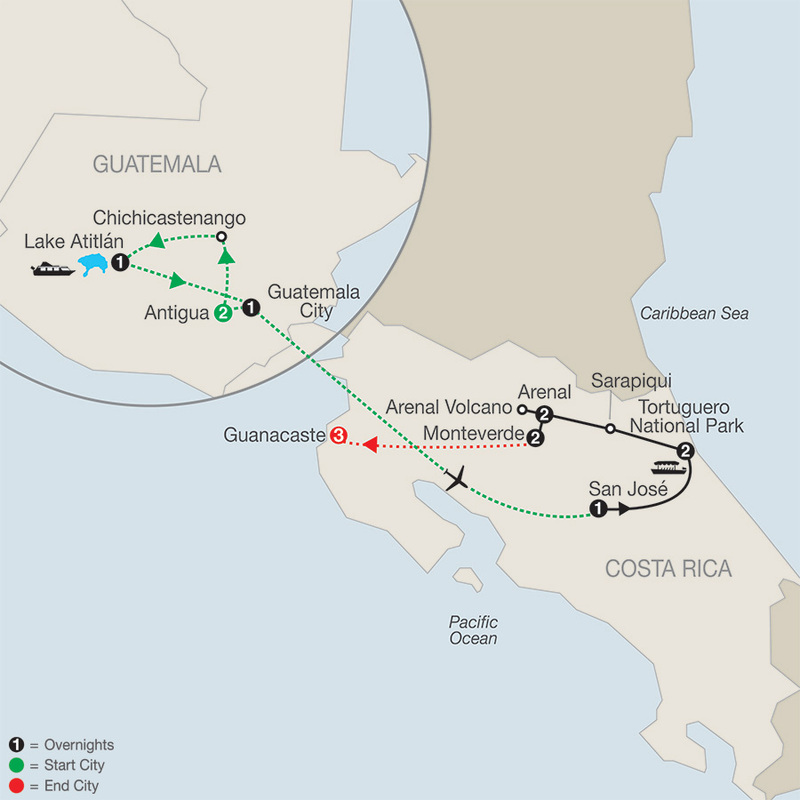 Grab your camera and swimsuit, and get ready for a wonderful vacation to Guatemala and Costa Rica! In Antigua, Guatemala, step back in history as you explore the ruins of churches and monasteries along with restored colonial buildings. Perhaps pick up a unique Guatemalan handicraft to bring back home from the open-air Indian market. 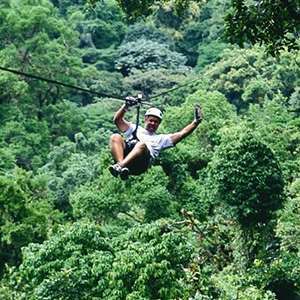 Then travel to Costa Rica and witness bountiful wildlife in their natural habitat, enjoy relaxing dips in ecothermal hot springs, and learn about the Costa Rican culture on this thrilling adventure. 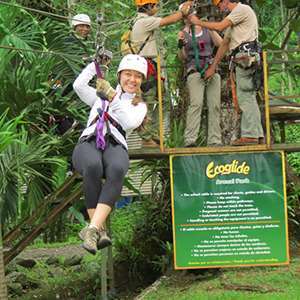 This tour to Costa Rica has it all—wildlife, scenic waterways, tropical rainforests, spectacular beaches, and knowledgeable guides to help you learn about Costa Rica. It’s a vacation like no other! 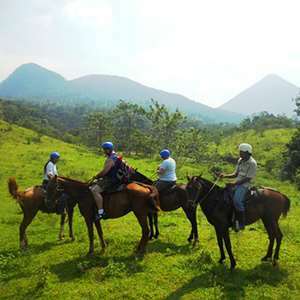 Take a morning drive to Guanacaste. 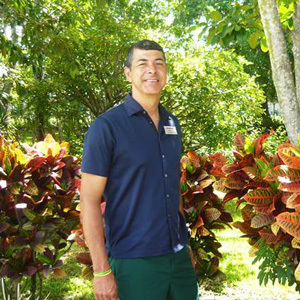 This part of Costa Rica’s North Pacific region offers hundreds of unspoiled beaches lining the shores, but Guanacaste is far from a traditional beach destination. 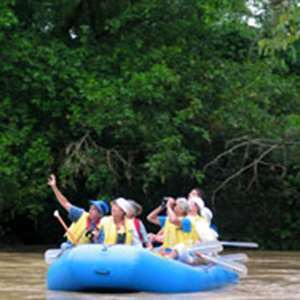 Activities in the area include rainforest canopy tours, river rafting or floating down the Corobici River, horseback riding, fishing, snorkeling in the Pacific Ocean, or just relaxing on the beach. This tour is a total adrenaline rush! 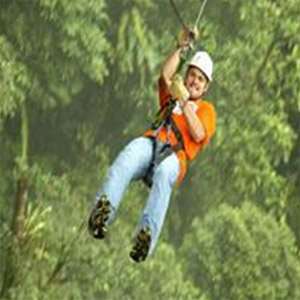 The zip line system consists of a network of suspended cables that go from one platform to another and that will let you zip from tree to tree over the forest. 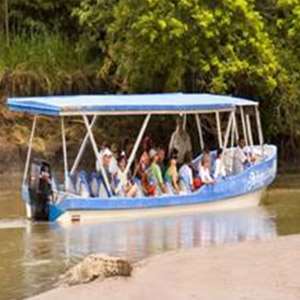 Take a river cruise through Palo Verde National Park to explore the 12 different types of habitats, including four different species of mangrove trees, 55 aquatic plants and 150 species of trees, like the one from which the Park's name is taken. 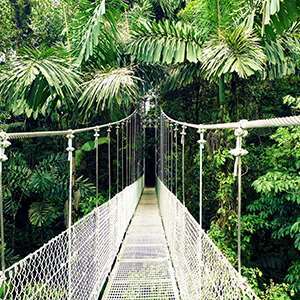 Finish your day with a tour of Liberia.